10th Pulse of Europe during Bath’s popular Christmas market. Photo © Clive Dellard. Help us ring in the New Year with our first Pulse of Europe in 2018! 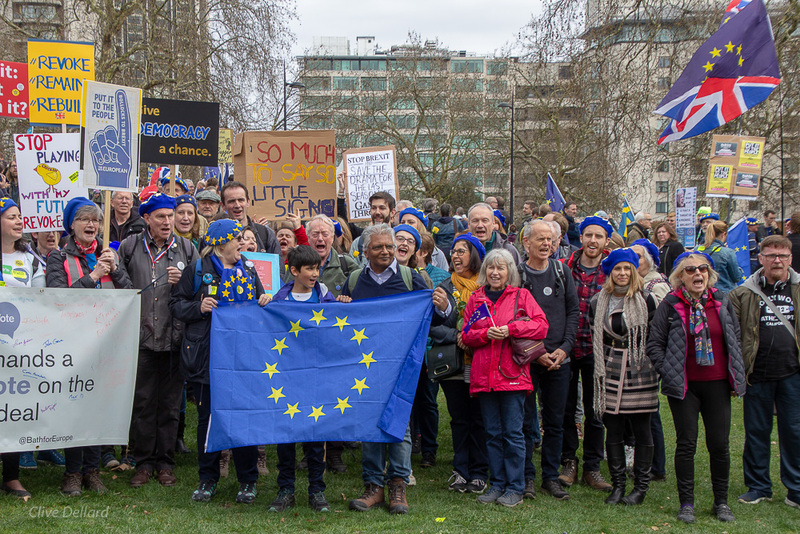 We’ll meet at Bath Abbey Churchyard at 2 PM for short speeches and a silent march through Bath – the Remain City that Won’t Give Up! We will wind up at the Friends Meeting House on York Street, BA1 1NG at 3:15 PM for warming drinks, cake and an update and a discussion on what we have planned for the next several months. 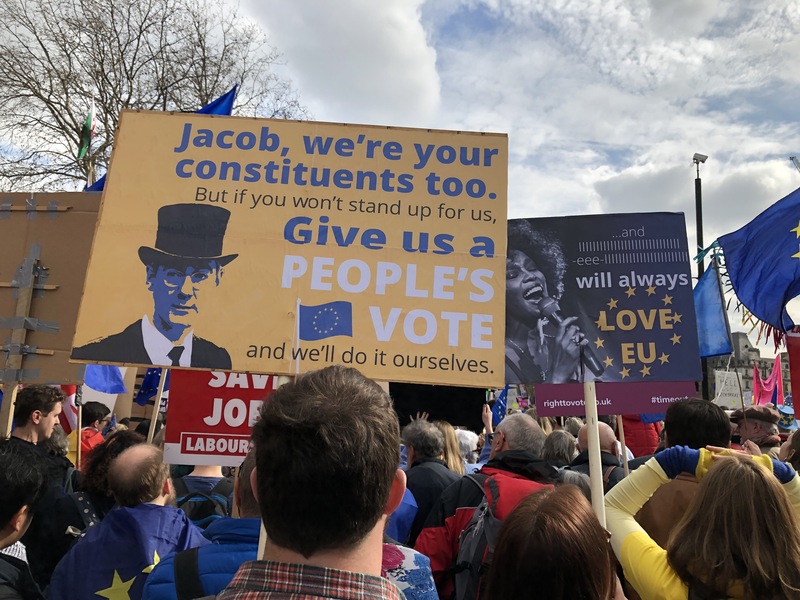 Wear your Original Bath Berets, carry appropriate placards and be ready to demonstrate your passion to ensure that the UK remains a key player in the EU. Events are moving quickly and so are we! We have an exciting line-up of events this winter. If you make one New Year’s Resolution for 2018, promise yourself that you will play an active part in Bath for Europe! Now if ever is the time to stand up for what’s best for Britain. 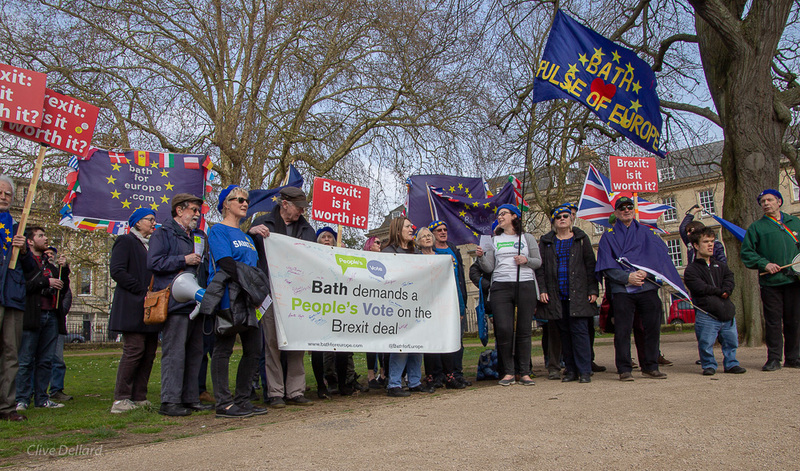 Bath’s 10th Pulse of Europe. Photo © Clive Dellard.